We are dedicated to promoting your skin and body’s relaxation and well-being through our range of therapeutic treatment options. Located in East Fremantle, we are a full service spa and beauty salon, offering a wide range of treatments for both men and women, incorporating the latest in proven therapies, all delivered in the comfort of our soothing and beautiful environment. We want to make your visit a memorable and special experience. Our professional therapists are highly trained individuals, committed to provide the very best in beauty therapy, and will ensure your Bella’s Skin Care experience exceeds your expectations. 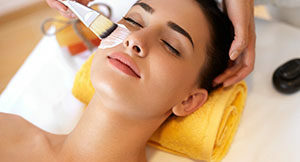 Choose from Sothy’s and Dermalogica’s Facial Treatments, IPL therapy, Microdermabrasion, Manicures & Pedicures, Waxing, Tanning Solutions, Tinting and Body Treatments. We know that you will want to share us with your friends and have created a range of gift packages to help you share the Bella’s Skin Care Centre experience with them. 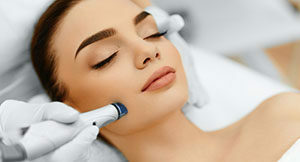 Our regular clients know that Bella’s Skin Care Centre offers the very best service in Fremantle. Book Online | Connect on Facebook and Instagram. A lifestyle of healthy, happy skin is the key to ageing gracefully. Subscribe to our mailing list and enjoy $20 off your first treatment.